“Halo” Franchise Fact Sheet as released by Microsoft to help with the launch of Halo 4. The “Halo” franchise is an award-winning collection of properties that have transcended video games and grown into a global entertainment phenomenon. Beginning with the original “Halo: Combat Evolved” (2001), the critically acclaimed and record-shattering series of games have reinvented how people think about video games and have since built a fan base of millions worldwide and inspired multiple New York Times best-selling novels, comic books, action figures, apparel and more. Published by Microsoft Studios, the “Halo” series of games is exclusive to the Xbox 360 video game and entertainment system and the Xbox LIVE online entertainment network. To date, more than 46 million copies of “Halo” games have been sold worldwide, driving more than 5 billion hours of gameplay by people connected to Xbox LIVE. “Halo” games have consistently defined multiplayer gaming and have dominated Xbox LIVE charts since their release. · Over the past ten years, “Halo” games have collectively garnered more than 580 media and industry awards, accolades and nominations. · “Halo” games have received more than 100 “Game of the Year” awards from media organizations, as well as multiple “Game of the Decade” accolades for their impact on the industry and global pop culture. · Guinness World Records named “Halo” the number one game series of all time, based on a 2010 reader poll. · More than 46 million copies of “Halo” games have been sold worldwide. · The “Halo” franchise has generated more than $3 billion in sales. · First-day sales of “Halo 3” reached $170 million in the U.S., breaking all previous single day entertainment launch records, and breaking the record held by “Halo 2” ($125 million). · “Halo” games are bestsellers on both the original Xbox and Xbox 360 platforms. “Halo: Combat Evolved” and “Halo 2” were the top two selling games on Xbox, and “Halo 3” and “Halo: Reach” are two of the bestselling games on Xbox 360. · More than 9 million copies of the “Halo” series of books, comics and strategy guides have been sold. Nine of the 11 novels are New York Times bestsellers. · The “Halo 3” soundtrack made the Billboard 200 on Dec. 15, 2007, and also reached a peak position of #18 on Billboard's Top Soundtracks list, and #20 on Top Independent Albums. The “Halo: Reach” soundtrack eclipsed the success of all previous “Halo” soundtracks when it reached the #8 spot on Billboard’s Top 10 Soundtracks list on Sept. 23, 2010. · More than 2.7 million people played the “Halo: Reach” multiplayer beta in May 2010, surpassing all previous console video game beta tests on record. · The “Halo: Reach” beta was more than triple the size of the “Halo 3” beta. · Since the launch of “Halo 3,” players have generated more than 120 million pieces of user-generated content from within the game. 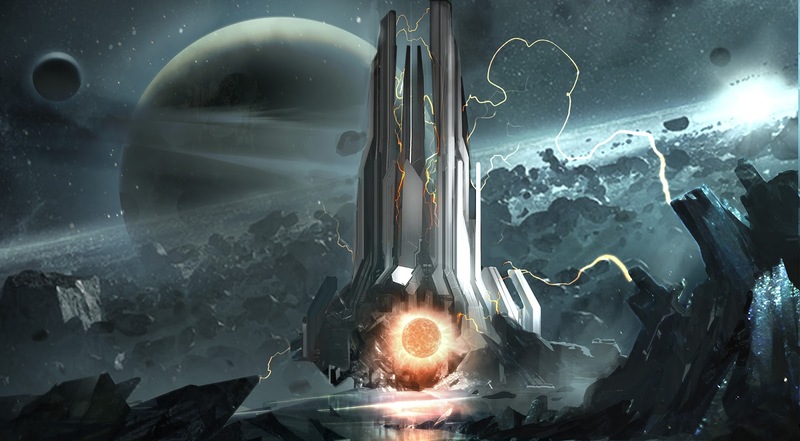 · More than 5 billion hours of “Halo” gameplay has been logged by players on Xbox LIVE. · The first Halo novel, “Halo: Fall of Reach” released in Oct. 2001; ten other novels follow, nine of which become New York Times bestsellers. · “Halo: Combat Evolved” launches on Nov. 15, 2001; becomes the gold standard for console shooters. · “Halo 2” launches on Nov. 9, 2004; bestselling original Xbox game of all time and sets a new record as the biggest entertainment launch ever with day one revenues over $125 million. · “Halo” graphic novel releases on Jul. 19, 2006 from Marvel Comics. · “Halo 3” launches on Sept. 25, 2007; sets record as the biggest entertainment launch in history and becomes bestselling game of 2007. · Marvel releases limited edition comic series between Oct. 2007-Jun. 2009; makes the New York Times bestseller list for graphic books. · “Halo Wars” launches on Feb. 26, 2009; makes history as the bestselling console real time strategy game ever. · “Halo 3: ODST” launches on Sept 22, 2009, selling more than 2.5 million copies within two weeks of release, totaling more than $125 million in sales. · “Halo” Encyclopedia published on Oct. 19, 2009 from DK Publishing. · “Halo Legends” anime series released by Warner Home Video on Feb. 16, 2010. · “Halo: Reach” launches on Sept. 14, 2010; becomes the biggest game yet in the “Halo” series and surpasses all previous 2010 U.S. entertainment launches with more than $200 million in day-one sales. · “Halo: Combat Evolved Anniversary,” a remastered version of the original “Halo” campaign with fan-favorite maps and new features, launches on Nov. 15, 2011 to commemorate the 10th anniversary of the franchise.